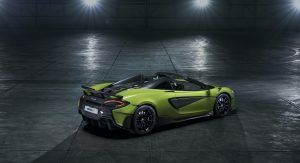 The 600LT Spider becomes McLaren’s fifth car to carry the Longtail name, boasting a 600 PS (592 HP) and 620 Nm (457 lb-ft) 3.8-liter twin-turbocharged V8 engine, and a power-to-weight ratio of 463 PS (457 HP) per tonne. 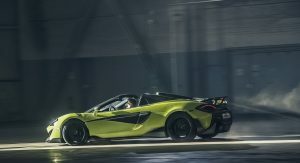 It needs just 2.8 seconds to hit 60 mph (96 km/h) from a standstill (like the Coupe), 2.9 seconds for the full 100 km/h (62 mph), and if you let it go, it will max out at 201 mph (324 km/h). 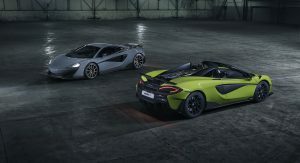 As for its 0-124 mph (0-200 km/h) sprint time, it’s just 0.2 seconds slower than the Coupe’s, at 8.4 seconds. 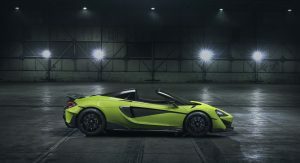 Much like its 600LT Coupe sibling, the Spider version is also lighter than the model on which it’s based, weighing roughly 220 lbs (100 kg) less than a stock 570S Spider. 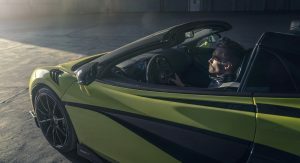 Yet, thanks to its strong carbon fiber MonoCell II chassis, the 600LT Spider retains the same structural rigidity as the Coupe, without requiring any additional strengthening. 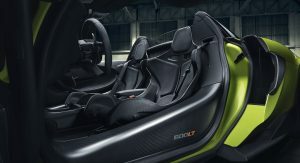 In the end, it weighs only 110.2 lbs (50 kg) more than the 600LT Coupe. 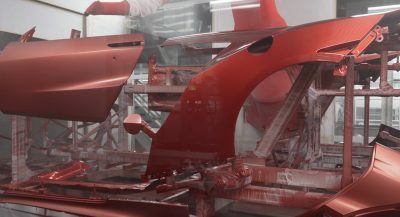 Overall, the car weighs just 2,859 lbs (1,297 kg), which makes it at least 176 lbs (80 kg) lighter than any direct competitor according to the British supercar-maker. 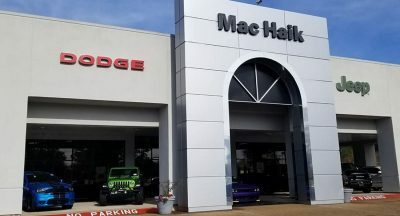 Once you’re ready to feel the wind in your hair, you can lower the powered retractable roof at speeds of up to 25 mph (40 km/h). That’s when you can begin to enjoy the top-exit exhausts at their fullest. 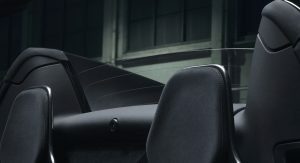 Meanwhile, an electrically-operated, glazed wind deflector can be activated independently of the hardtop – resulting in reduced buffeting or increased ventilation, and inevitably, a better soundtrack. 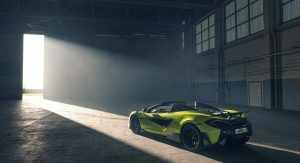 Of course, this is a car that focuses on performance, and McLaren even revised the electronic control systems of the twin-turbocharged 3.8-liter V8 unit in order to “liberate more power”. 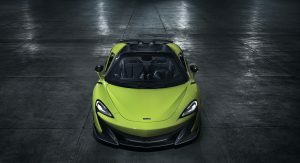 The engine is good for 600 PS (592 HP) and 620 Nm (457 lb-ft) of torque, and with the help of a dual-clutch, Seamless Shift 7-speed gearbox, the 600LT Spider can reach 60 mph (96 km/h) from a dead stop in 2.8 seconds, 62 mph (100 km/h) in 2.9 seconds, 124 mph (200 km/h) in 8.4 seconds and a top speed of 201 mph (324 km/h) with the roof raised, or 196 mph (315 km/h) with it lowered. 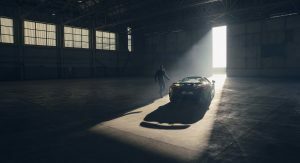 As for its Longtail silhouette, it’s created by the fixed rear wing, which generates the same 220 lbs (100 kg) of downforce at 155 mph (250 km/h) as it does for the Coupe version. 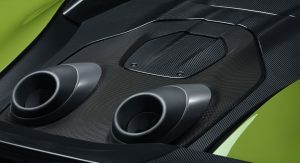 The 600LT Spider’s performance-oriented interior features lightweight Alcantara trim and Carbon Fiber Racing Seats from the McLaren P1 as standard, although the Super-Lightweight Carbon Fiber Racing Seats from the McLaren Senna are available either as a standalone option, or within the MSO Clubsport Pack. 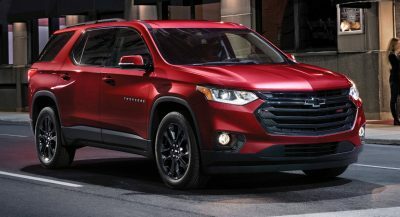 If buyers want even more weight to drop, they can opt to remove the audio and climate control systems, which makes sense if one of your goals is to set fast lap times on racing circuits. 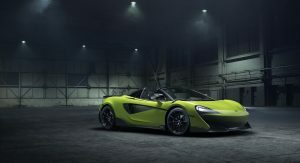 The 600LT Spider can now be ordered from official McLaren retailers, although keep in mind that availability will be limited, with build slots scheduled around other Sports and Super Series models. 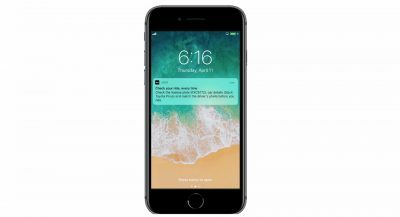 How can it be a “longtail” without…. you know… a LONG TAIL. 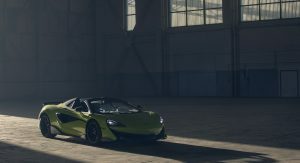 It looks just a McLaren 570s with a fixed wing and top exiting exhaust. 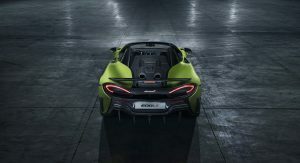 The rear is a bit longer than that standard 570s but not as long as the F1 GT was. 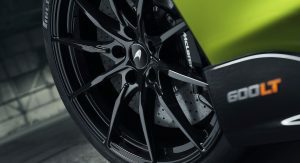 The longtail name is more of special line of performance editions now. 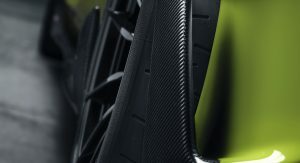 They still carry the same meaning as before greater performance than the standard model with being light weight and better downforce without the requirement of a rear wing. 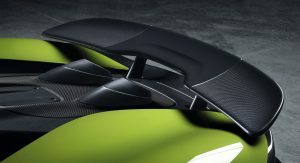 Of course this excludes the 600lt as it has a wing.